The 2018-2019 eSchool Online Course Registration is now available. 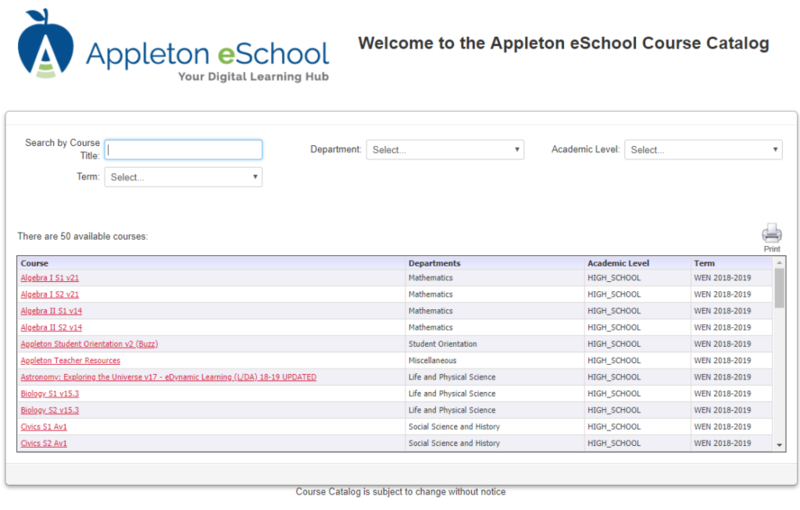 The online catalog will continue to populate our courses throughout the next week. Our catalog is dynamic and courses that become available through our statewide network will appear in our catalog list: https://wi.geniussis.com/publicstudentcourselist.aspx?id=15. If you do not see the course you are looking for, check back in a couples days as the catalog will continue to populate over the next week or so. During the school year, if you are not able to locate your course, contact the eSchool office and we can help determine if a course is available or not.